If you’re considering a fireplace for your home but feel a little overwhelmed with your options, you’re not alone. 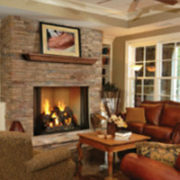 It can take a few visits to a fireplace store to decide on the best option for your lifestyle. 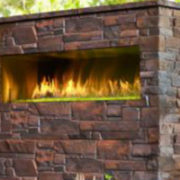 At Rettinger Fireplace Systems, we sell a huge selection of fireplaces, and we’ve earned a reputation as one of the best fireplace stores in New Jersey. If you are curious about our electric fireplaces available to you in Burlington County, NJ, Rettinger Fireplace Systems has them in stock. Plus, we’ve got three benefits of owning an electric fireplace that just might convince you to buy one! An electric fireplace, especially when compared to a wood or gas fireplace, requires much less energy and materials to create heat. This is because there are no gas lines involved. 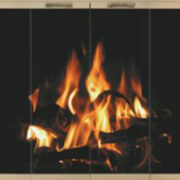 Using an electric fireplace is essentially working with clean, straightforward heat. Purchasing an electric fireplace is a quiet, efficient heating choice that is easier on the environment since it doesn’t involve burning natural resources or emit harmful gases into the air. A traditional, wood burning fireplace requires a significant amount of planning. If your home doesn’t already have a fireplace, you’ll need to choose a wall in your home, install a chimney, and then install the fireplace itself all while maintaining the proper clearances to ensure it is safe. On top of that, wood burning fireplaces involve clean-up after each use. 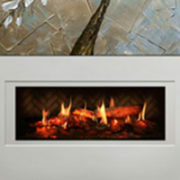 An electric fireplace offers a hassle-free, simple alternative. Simply choose the size and style that you like and then decide where you want it to go. 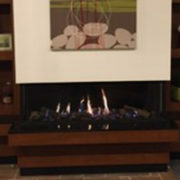 Wall-mounted and built-in electric fireplaces are both options, depending on your home and your preferences. Who doesn’t want to save a buck here and there? One of best reasons to choose an electric fireplace for your home is the cost-factor. 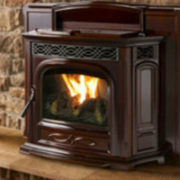 On a whole, electric fireplaces are much less expensive than wood burning or gas fireplaces. 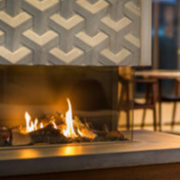 What’s more, an electric fireplace doesn’t need any fuel to “burn”. There’s no splitting wood or buying gas involved. All you need to do is plug it in and enjoy.